SXSW Gaming recognizes the best games, teams, and creative individuals found throughout the industry every year with a unique array of awards programs. Learn more about the Gaming Awards, Gamer’s Voice Awards, Gaming Pitch Competition, and Cosplay Contest below. The SXSW Gaming Awards present a unique opportunity to be recognized by thousands of gaming fans and industry pros during the SXSW Gaming Festival. 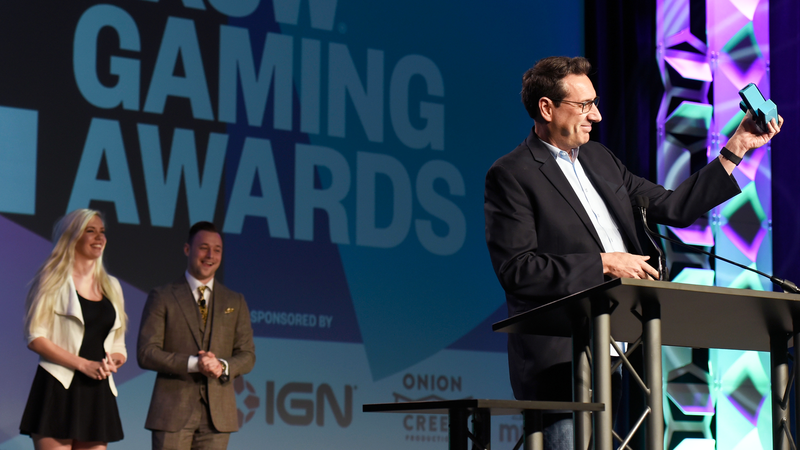 Having premiered at SXSW 2014, the Gaming Awards have rapidly grown to receive thousands of applications across all 25 of its unique awards categories, which are dedicated to both AAA and indie gaming. One of the most popular events at SXSW Gaming every year, the Cosplay Contest showcases the unique creative talents of the cosplay community. For more information on our SXSW Gaming Awards, reach out to gamingawards@sxsw.com. For all press requests, please contact press@sxsw.com. For all general SXSW Gaming inquiries, please contact us at gaming@sxsw.com. The Gaming Awards were open for all entries from Monday, June 25 – Friday, December 7. All entries must have been completed titles that had been released during the 2018 calendar year. Any other entries were not taken into consideration. Judging was a two-step process once all entries were received. First, there was a private judging process for all entered titles in which the SXSW Gaming Advisory Board and staff selected the top five choices in each award category. Once the final nominees were chosen for each category, the general public was invited, along with the advisory board and staff, to cast their final votes to determine the winner of each award. All winners will be revealed during the Gaming Awards ceremony at SXSW Gaming 2019. The Gamer’s Voice Awards were open for all entries from Monday, June 25 – Friday, December 7. The Gamer’s Voice Awards are unique from the primary Gaming Awards categories as only indie developers and teams with titles released (or slated to be released) in either the 2018 or 2019 calendar years can qualify for consideration. Nominees for the Gamer’s Voice Awards, as selected exclusively by the SXSW Gaming staff who play every entry, received an exclusive space in the Indie Corner on the SXSW Gaming Expo floor to exhibit their nominated title. From there, Gaming Expo attendees will have the chance to play each nominated title and vote to determine the winner of each award, which will be announced during the Gaming Awards ceremony at SXSW Gaming 2019. Those interested in participating must already be attending SXSW Gaming and have a SXSW Gaming wristband. Participants can register onsite at the Cosplay Booth in the Gaming Expo all weekend long and must be approved through pre-judging to be entered into the Cosplay Contest. Registrations are restricted to those ages 18 and up. Pre-judging and registrations will be accepted until 2 p.m. on Sunday, March 17th.